The internet is a wonderful thing - without it I would never discover little gems like Lilly + Sid. 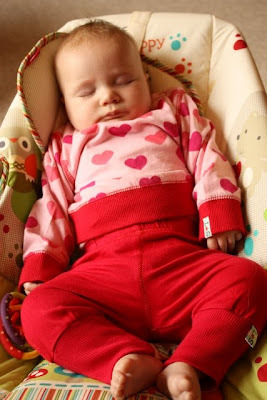 Lilly and Sid contacted us to ask Holly to put their range of funky and contemporary clothes to the test. Holly is a lot more feminine than I am, or Lara ever was and tends to look better in pinks than I had been prepared for which is why this red and pink combo suits us both - Holly gets to look suitably girly while I am kept quiet with the brights and bolds of the red stretchy trim and those gorgeous leggings. 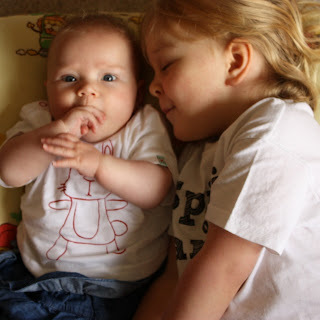 I'm loving how practical the Lilly + Sid clothes are; lots of very fashionable baby clothes simply haven't been thought through but all of the Lilly + Sid clothes we have tried are easy to put on and take off for nappy changes and all wash well. Lilly + Sid have a range of fun t-shirts too. Lara, at 3 years old REALLY wanted to wear Holly's boo rabbit t-shirt and when I explained that it simply wouldn't fit she said "Maybe when I grow smaller it will fit". Errr... OK.
My favourite item of clothing so far is this summery checked dress. It is still a touch too big for Holly who is far more petite than her sister but it was particularly perfect for on our hot summer holidays. 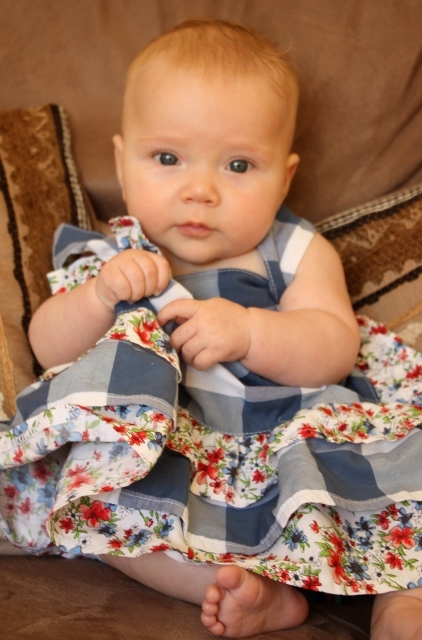 It has a floral bow on one of the straps which Holly very much enjoys chewing right now!